Corey was born in Everett, WA, on a spring day, 43 years ago. His heart was full of love, with a sweet smile and gleam in his eye. He was loved from the moment he was born. As he grew into a young boy he played all sports but enjoyed football the most. Along with playing video games, riding bikes and those little army men, that inevitably always get stepped on. He had many friends and he spent his days making memories. Later in life, Corey was happy to become a dad and was blessed with two beautiful children, Adrian and Jazmen. He loved his children more than they know and was very proud of them. Corey worked at the Tulalip Casino when it first opened and later at the Tulalip’s Pharmacy for many years and really enjoyed being a part of those teams. He was a simple man and took the bus or walked wherever he needed to go. Corey also enjoyed gambling, watching the UFC fights and of course football. Corey was a Raiders fan for life. RAIDER NATION! Everyone who came to know Corey also knew he loved everyone. He spent his latest years with those closest to him, his friends and family. Yolanda, Casey and Roxanne were very special people to him and some of his cousins were his best friends. Corey was preceded in death by his grandparents: Cyrus Hatch, Emily Beatty, Olaf and Marie Morken; his mother, Sharon Morken and nephew, Jaylen Fryberg. He is survived by his dad, Tim; children: Adrian and Jazmen, siblings: Wendy, Jesse and Samantha as well as numerous other family members and friends. Visitation: Friday, January 4, 2019 at 1:00 pm. at Schaefer-Shipman Funeral Home with an evening service to follow at 6:00 pm at the Tulalip Gym. Funeral Services will be held Saturday, January 5, 2019 at 10:00 am with burial to follow at Mission Beach Cemetery. June 23, 1962-December 13, 2018 Born June 23, 1962 to William Henry and Patrica Hatch-Henry in Bremerton, WA. 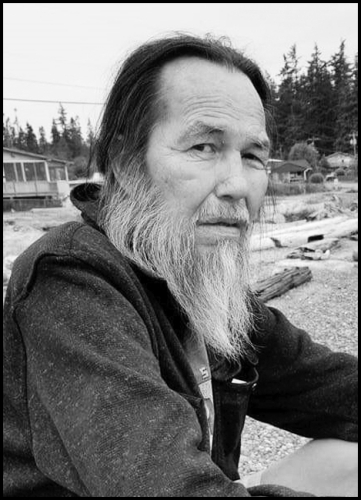 He passed away on December 13, 2018 in Tulalip, WA. He went to Tulalip Elementary School and Perpetual Help School. He loved to fish, play baseball, woodcutting, but most of all loved to babysit his nieces and nephews. He enjoyed his morning coffee and newspaper. Jimbo is preceded in death by his parents, William and Patrica Henry; and grandparents, John and Dora Henry and Zane and Gwen Hatch; and brother, Andrew Henry. He is survived by his brother, Billy Henry; sister, Gwen Henry; Aunty Weezie Henry; and his special children: Nick, Rheanna, Charles, Vernon, Stahwnee, Julene, Casey, Lisa Mae, Andrew, Nathan, Nicole, Roberta, Jolene, Charlene, Chucky and Cassie. Visitation will be held on Tuesday, December 18, 2018 at 1:00 p.m. at Schaefer-Shipman Funeral Home. An interfaith service will be held at 6:00 p.m. that same evening at the Tulalip Gym. Funeral services will be Wednesday, December 19, 2018 at 10:00 a.m. at the Tulalip Gym with burial to follow at Mission Beach Cemetery. Daniel David Sieminski was born on July 6, 1984, a Friday, in Seattle, WA. He entered into rest on December 8, 2018, a Saturday. Daniel was a gentleman who was loved by all. He was a kind and gentle person with a warm heart. He was a man of deep thought. He may have been quiet but he was one of the most observant people you will ever meet. 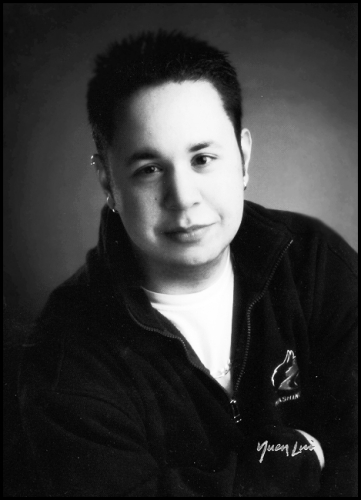 Daniel graduated from Marysville-Pilchuck High School in 2002. He graduated from the University of Washington with a B.A. in Sociology in 2006. He enjoyed spending time with his family as well as his fiancée, Amanda and their fur kids, Jesie and Abie. Daniel will be remembered for his ever-present smile. He is survived by his parents, Peter and Doreen Sieminski; sister, Nicole Sieminski; fiancée, Amanda Shelton; grandma, Joyce Sieminski; grandpa, David Spencer Sr. and Katherine Campbell; aunt, Marya and Paul; uncles, David and Joan, Denis and Carol, and David and Nancy; cousins, Alisha and Hema, Dawn Marie, Ruby, Ryley, Thendral, Kavyn, and Suriyan; special cousins, Raphael and Angelo; and numerous other family members. He is preceded in death by his grandpa, Frank Sieminski, grandma, Viola Jones Spencer, and aunts, Janel Spencer and Dawn Shirley Spencer. Visitation will be held on Thursday, December 13, 2018 from 1:00 p.m. to 3:00 p.m. at Schaefer-Shipman Funeral Home. Funeral will be held on Friday, December 14, 2018 at 10:00 a.m. at the Tulalip Tribal Gym with burial to follow at Mission Beach Cemetery. On Monday, November 26, 2018, Bob passed away at home surrounded by his loved ones. He was 92. Bob was born September 28, 1926, the first child of Nickolia and Bessie Swanson of Cicero, WA. Bob attended Arlington High School and joined the Navy in the summer of 1942. He served aboard the LST 808 that took part in the Iwo Jima landing, and the Okinawa landing. On May 14, 1945, the LST 808 was torpedoed by a Japanese aircraft off Ille Shima. Bob achieved the rank of Quarter Master 3(QM3). He was given an honorable discharge, including many awards and medals on July 16, 1946. After Bob’s years of service he went to work in the woods as a logger and did this off and on for years. He also worked in the shingle mills and while learning the saw shingles gave up the ends of several of his fingers. Later Bob became a commercial fisherman and rebuilt two old wrecked boats to make them his fishing vessels. Bob is survived by the love of his life, wife, Sandra. Together they lived an adventurous life for 50 years. They fished in Kodiak, Alaska for 12 years, as well as the Tulalip waters upon their return home. His survivors also include his son, Dale Swanson (Janice); daughter Cindy Swanson (Richard); grand-daughters, Emily Madden (Jarrod) and Phoebe Madden; grandson, Ben Ellis Swanson; and great-granddaughters, Rosemary Carey and Jaidan Anderson; and his youngest brother, Stephen Swanson (Judith). He was preceded in death by his mother and father; two sisters, Wanda and Rosemary; and his brother, Nick. A Memorial Service will be held at Schaefer-Shipman Funeral Home on Saturday, December 8, 2018 at 11:00 a.m. A dinner will follow at the Tulalip Tribal Center. Jayden was born in Everett, WA, on July 5, 1999 and left to be with the Lord on November 26, 2018. Jayden is survived by his parents, Jayme Brashears, Sarina Flores and Dennis “Pops” Proo; older brother, Andrew “AJ” Flores-Williams, sisters, KeArra and Zariya Jones-Brashears; his great grandmothers, Betty Brashears and Janet Doughty, grandparents, Marilyn and Jordan Flores and Dale and Fawn Brashears. He leaves his aunties: Belinda (Don) Hegnes, Vanessa Flores, Misty Flores, Heather (Matt) McKay and uncles: Dominic, Ben, Wayne, and Matt Flores, Curtis (Lindsay) Brashears. He leaves a special auntie, Ami Pablo and many close special cousins: Nicholas Williams Flores, Celine Brown-Flores (Josh), and Jolene Leanne Flores (Isaiah). Jayden is preceded in death by his great grand-parents: Cyrus B. Hatch Jr., Emily Ann Beatty, Jesusa Flores, Bill Brashears, and his best friend, Dontae Jones. Jayden completed high school at Heritage High and attended Salish Kootenai College in Montana where his goal was to play on their basketball team. 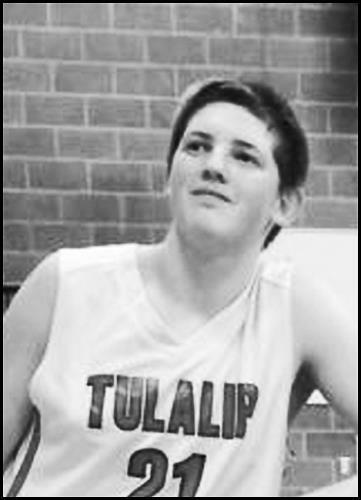 Basketball was Jayden’s passion, he loved to play and compete in tournaments away and at home. When he wasn’t playing basketball with his friends and cousins, he loved to play video games with them. Jayden’s friends were his brothers and he loved them like he loved his family. Jayden was known for his big heart, smile and great sense of humor. He always made it a point to say “I love you”. He would tell his mom, “I love you mom” at least ten times a day, along with a big hug. He will be missed greatly and never forgotten by his friends and family. Visitation will be held Friday November 30, 2018 at 1-2 p.m. at Schaefer-Shipment Funeral home with an Interfaith service to follow at 6:00 p.m. at the Tulalip Tribal Gym. 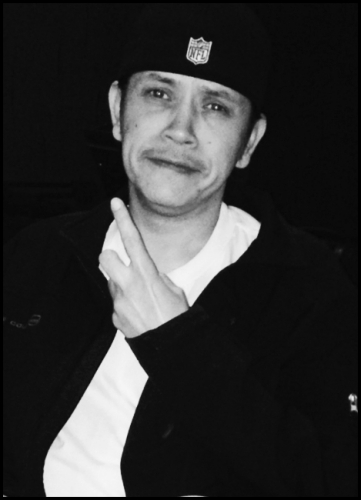 Funeral services will be held Saturday at 10:00 a.m. at the Tulalip Tribal Gym with burial to follow at Mission Beach Cemetery. Mary Jane Davis was born on August 18, 1951 in Everett, WA, to Jack and Mary Jane Moses. She passed away on November 12, 2018. Mary Jane loved to crochet, knit, play bingo, go trout fishing, and pick berries. 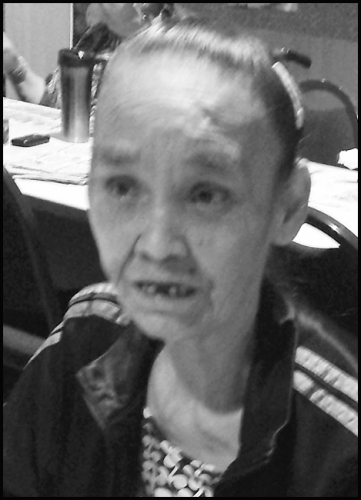 She worked doing housekeeping at the Casino and apartment building up until she couldn’t work anymore. Mary Jane loved her family and her kids and grandchildren were the most important thing to her. She was always making items to help families with giveaways and helping them in any way she could. She is preceded in death by her husband, David Davis, grandparents, parents, Jack and Mary Jane Moses, and grandson Michael. She is survived by her twin sister, Mary Ellen, siblings, Albert, Wendy, Ruby, and Joe; children, Ivan, Tony, Donna, Nona, Mary Ellen, Sara, Gerry; grandchildren and numerous nieces and nephews. Visitation will be held on November 19, 2018 at 1 pm at Schaefer-Shipman Funeral Home. There will be a prayer service at the 1910 Shaker Church at 6 pm that same evening. Funeral services will be on November 20, 2018 at 10 am at the 1910 Shaker Church with burial to follow at Mission Beach Cemetery. 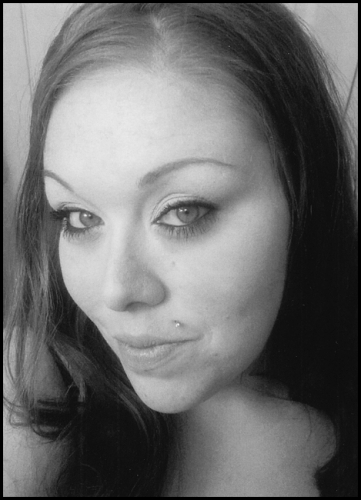 Dec. 12, 1984 – Nov. 10, 2018 Jennifer Joanne Navarrete was born on December 12, 1984 in Tacoma, WA to William Clark and Barbara Nielsen (Murphy). Jennifer loved being with her family, taking care of her nieces and nephews and cheering them on in sports, and being outdoors. She also loved spending time with her girlfriend Sheena. Jennifer is preceded in death by her grandparents, Joel and Virginia Clark, Richard and Barbara Murphy; and sister, Cynthia (Cinder) Clark. She is survived by her parents Barbara and Harry Nielsen, and William Clark; brothers, Brandon Lloyd and Kenneth Garcia; sister, Michelle Figueroa; girlfriend, Sheena Allen; and numerous aunts, uncles, cousins and other relatives. Visitation will be on Thursday, November 15, 2018 at 1:00 p.m. at Schaefer-Shipman Funeral Home. Interfaith Services will be at 6:00 p.m. that evening at the Tulalip Tribal Gym. Funeral services will be Friday, November 16, 2018 at 10:00 a.m. at the Tulalip Tribal Gym with burial to follow at Mission Beach Cemetery. 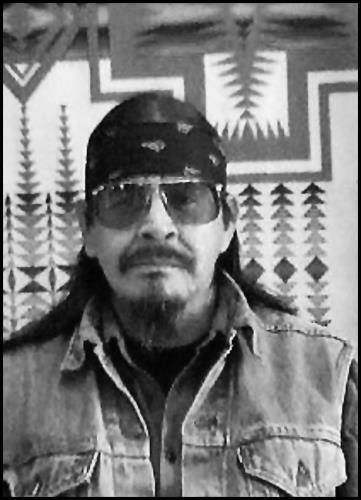 Charles “Walking Charlie” A. Spencer, 64 of Tulalip, WA, passed away September 2, 2018 at home. He was born September 25, 1953 in Everett, Washington to Richard Spencer Sr. and Mary Johnny. He was a welder and a custodian for the Tulalip Tribes. He loved his family. He enjoyed pole fishing and taking long walks. He also liked his music and collecting nick backs. He is survived by brothers, David and Bobby; sisters, Mildred and Vivian; and several nieces, nephews and cousins. He was preceded in death by his parents and 14 brothers and sisters. Visitation will be held Thursday, September 6, 2018 at 1:00 p.m. at Schaefer-Shipman Funeral Home with an InterFaith Service will follow at 6:00 p.m. at the Tulalip Gym. Funeral Services will be held Friday at 10:00 a.m. at the Tulalip Gym with burial to follow at Mission Beach Cemetery. Cecile Rose Elworth-Menge was born February 14, 1963 in Seattle, WA, and passed away on August 6, 2018 in Everett, WA. Cecile was named for both grandmothers. 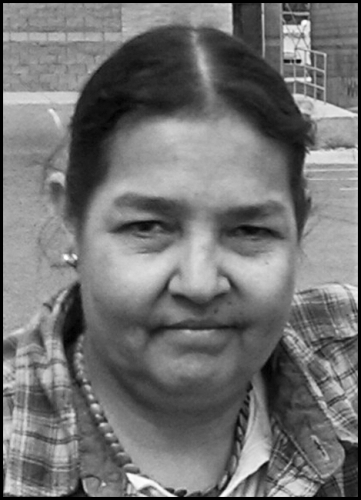 Cecile loved to spend time gardening, tending to her animals, being outdoors, and taking care of people. She had a quick and infectious laugh. Cecile entered into the US Army in San Jose, CA, as a radio operator and separated in Fort Gordon, GA, after serving four years. She is preceded in death by her father, Charles Elworth and granddaughter, Aiden; granddaughter of the late: Margaret (Henry) Holmes and Charles S. Oliver Sr. and Mildred and Anthony Kazmirski; Aunt Catherine (Oliver) Rivera, Uncle “Manny”, Charles H. Oliver Jr. and first cousin, Michael Proo. Cecile is survived by her husband of 20 years, Scott Menge; mother, Alma Louise Elworth; daughter, Angelina Elworth; son, Anthony Elworth; son, Jean-Luc Elworth; siblings, Julie, Brian and Christopher Elworth; grandchildren, Leila, Kurian, Kaimira, Henry, and Jordan; best friend, Dena McClinton; and John and Jean Chilcott, Colleen (Donnelly) and Generoso Tandiama, Patrick (Karyn Barnes) Donnelly, Janie Lynn (Donnelly) and Kurt Moose, Kevin Kazmirski, Terrence Kazmirski; Aunties, Cecile (Oliver) Hansen and Carolyn Oliver. An Interfaith service will be August 10, 2018 at 6:00pm at Schaefer-Shipman Funeral Home. Funeral services will be August 11, 2018 at 10am at The Tulalip Tribal Gym. 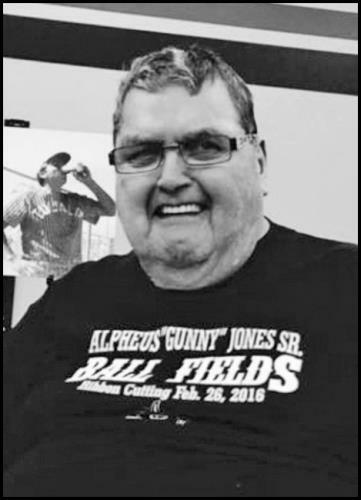 Alpheus Edwin Jones Sr. was born July 8, 1940 in the Tulalip Old Hospital and entered into rest on August 5, 2018. 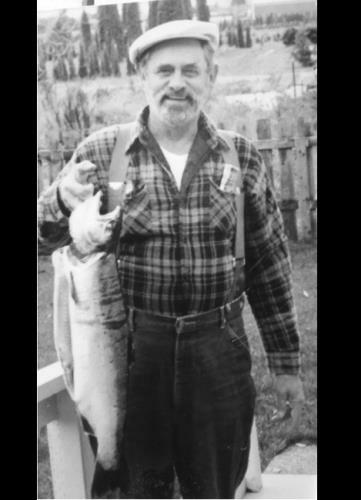 He was a commercial fisherman, and would fish with Wheatie on Sarah Jean and Skipper on the Night Owl, salmon ceremony fish cooker, and enjoyed traveling, playing basketball, softball, and hardball. Alpheus coached the Tulalip Chiefs and Tulalip co-ed team and The Bad Company Youth Basketball team. He was inducted into the NIAA Hall of Fame in 2007. He is preceded in death by his parents, George and Louella and numerous family members, as well as special grandchild, Dontae Wayne Jones. He is survived by his wife, Mildred L. Jones of 53 years, as well as his children, Charlie and Roxanne, Jeff Jones Sr., Alpheus Jones Jr., Dana Jones, Luella Ann and Leon Enick, and Allison Jones; siblings, Stanley and JoAnn Jones Sr., Virginia Carpenter, Dawn Simpson, Joy Lacey, Dale Jones and Barbara Jones, Marvin Jones, Richard Jones and Toby Jones, Delmer and Bev Jones, Virginia Cross, Lorraine Cross, Marlene Cross, George Cross Jr.; granddaughter, Brittany Nelson-Jones; and numerous grand-children and great-grand-children. Special Caretaker Bernard Duplessis. He also leaves behind his special cat, Simba. Visitation will be held on August 9, 2018 at 1pm at Schaefer-Shipman Funeral Home. Interfaith will be at 6pm at the Tulalip Tribal Gym. Funeral service will be August 10, 2018 at 10am at the Tulalip Tribal Gym with burial to follow at Mission Beach Cemetery.